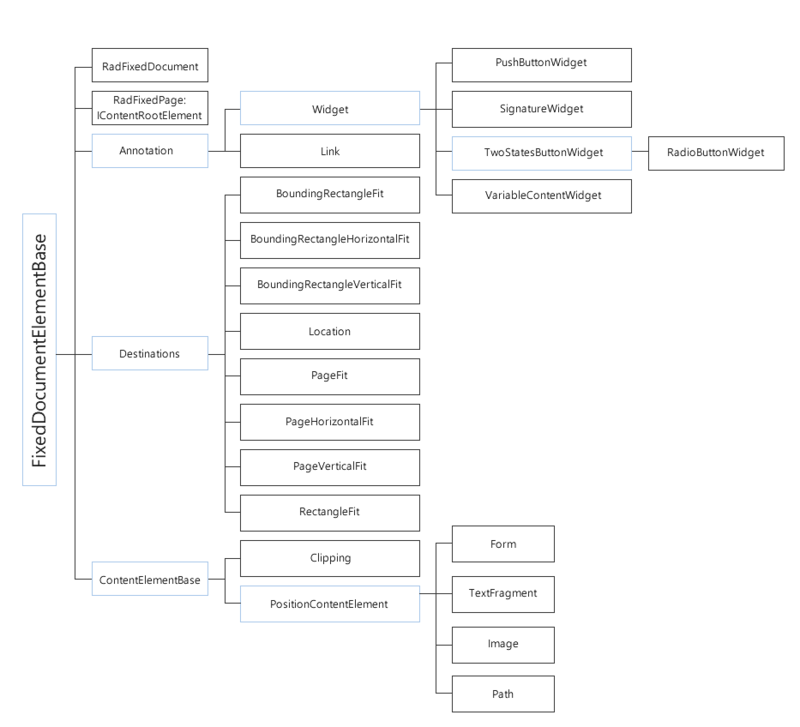 This article explains the structure of RadPdfProcessing's document model. RadFixedDocument is the root element of all document elements. All document elements inherit from the FixedDocumentElementBase abstract class. The diagram below describes the hierarchy in RadPdfProcessing. 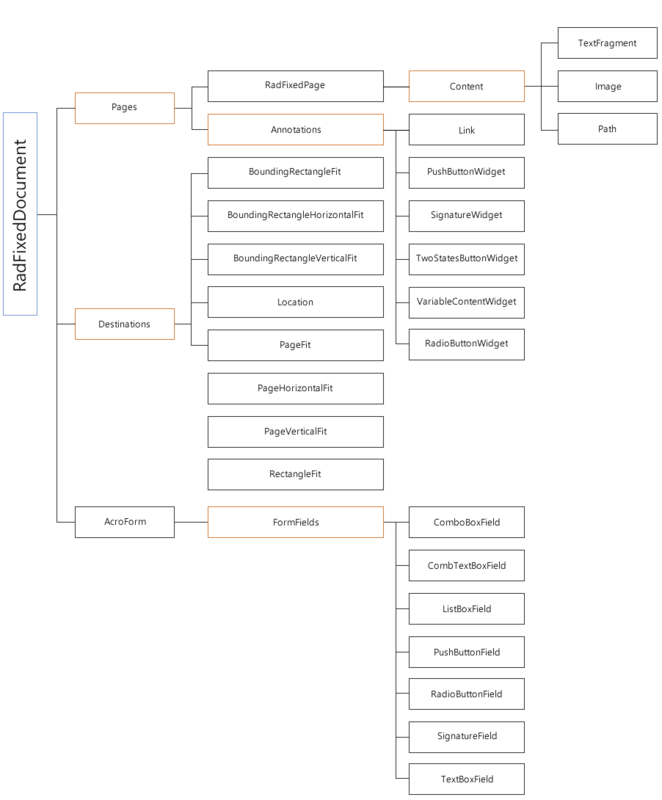 RadFixedDocument represents a tree of RadFixedPage where the fixed content is hosted. The diagram below describes the composition of the fixed content. The document elements are denoted in black and collections - in orange.